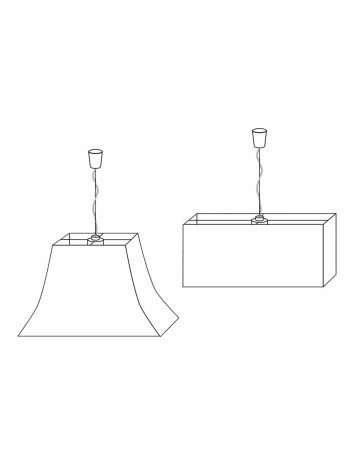 select from traditional or contemporary shapes. Create your light effects and accents by means of colours and unusual designs. 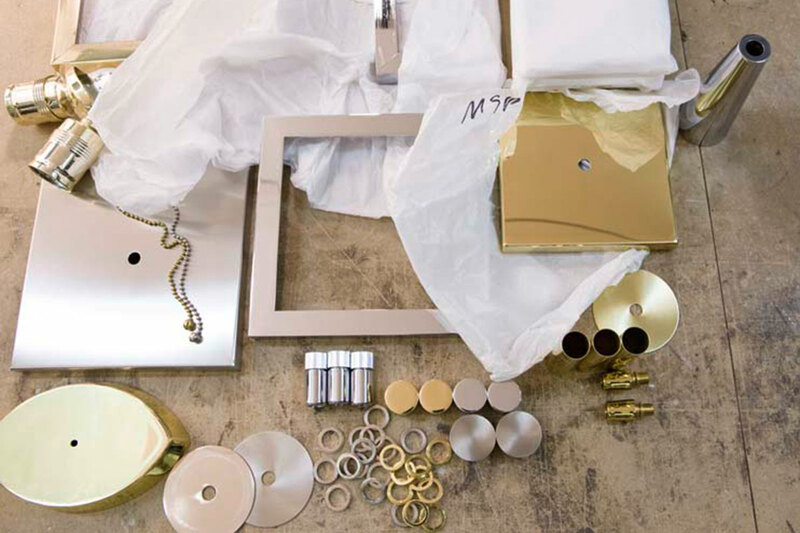 Whether it is gold leaf, coloured glaze coat or braid, you design and we implement your ideas. 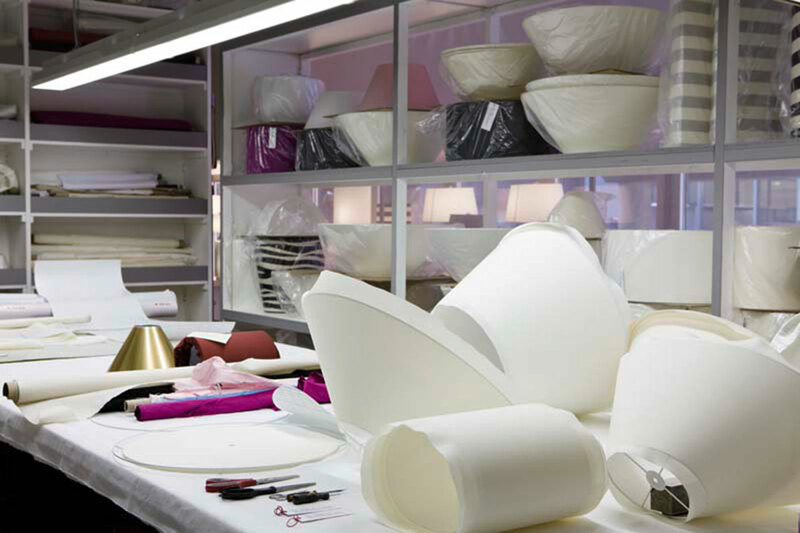 The lamp shades are handmade with the greatest care in our own workshop. The shape, whether traditional or contemporary, lends the lamp its own distinctive style and silhouette. 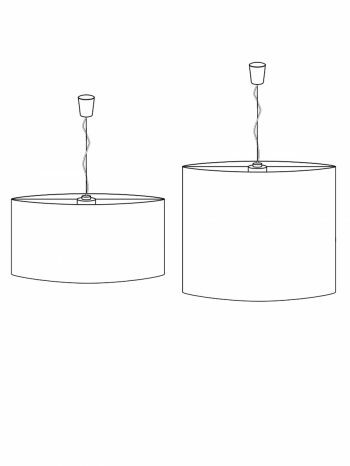 A lamp shade roof can be supplied for the individual shape (additional charge). To create special light effects and accents by means of colours or unusual patterns, the inner side of the shade can be laminated or lined individually. 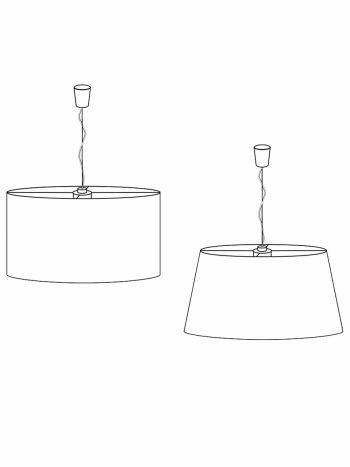 This will give the lamp not only a more expressive look, but will also influence its light effect. Transparent lamination, for example, gives the entire shade a translucent appearance, whereas opaque lamination directs the light upwards and downwards. Standard shades come with a choice of transparent, white, gold, or silver lamination. 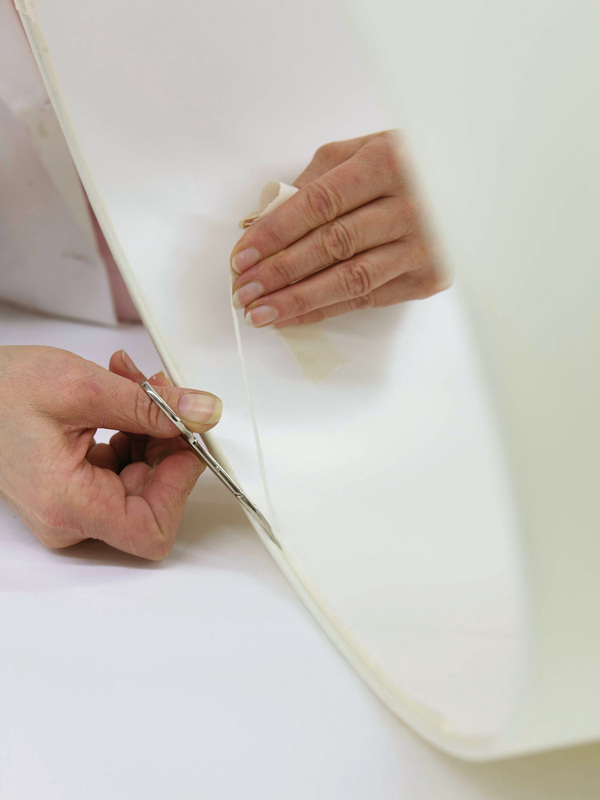 The covering can be made of in-house available fabrics or of a fabric of your own choice, supplied by you. For the covering we offer either plain-coloured or patterned textile materials, such as silk, chintz, 100% cotton and lacquer foils. It can also be enhanced with stylish elements such as braid, cord and lace. The cover can be made of any material. If supplied by the customer, we will require a minimum size of 0.60 m x 1.20 m.
To complement the overall impression, these rings can be supplied fully or partially (e.g. visible braces in the upper part of the shade) in a colour that matches the lamp base (chromium-plated, brass matte, polished or burnished, nickel matte or satin-finished). 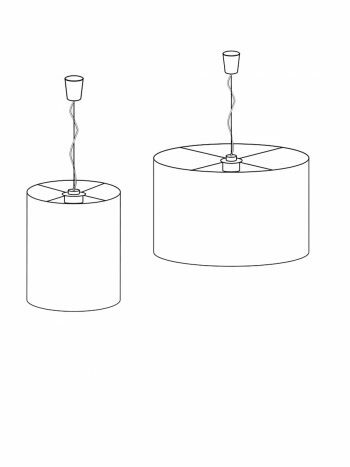 The lamp shades are mostly mounted to be height-adjustable. For optimal and desired light emission, the shade can also be slightly tilted.